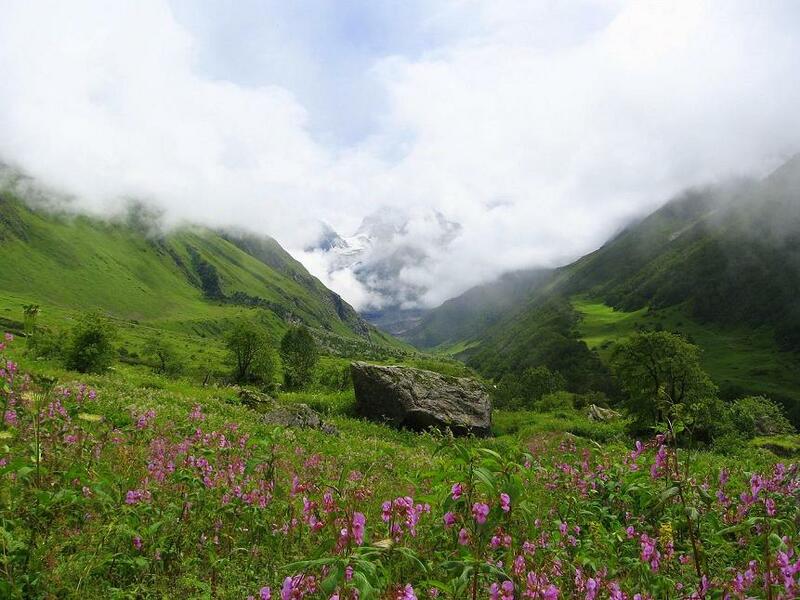 Valley of Flowers – As the name indicates, it’s a place covered with attractive and coloured flowers which are so gorgeous that this place is included in UNESCO World Heritage Sites. 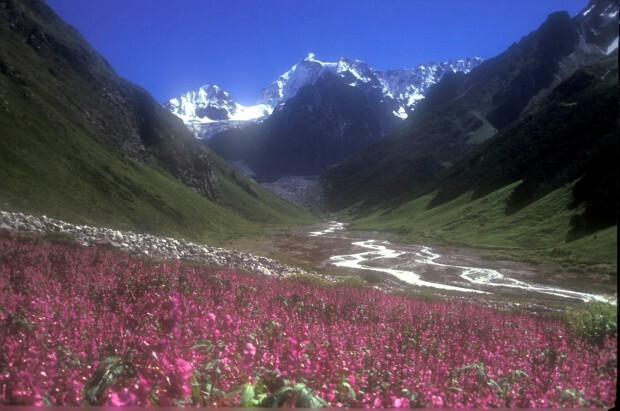 Located along with world famous Nanda DeviNational Park, this Valley of Flowers was discovered by Frank S. Smythe who was a mountaineer and botanist. He found it when he was rock climbing the mountains in India. 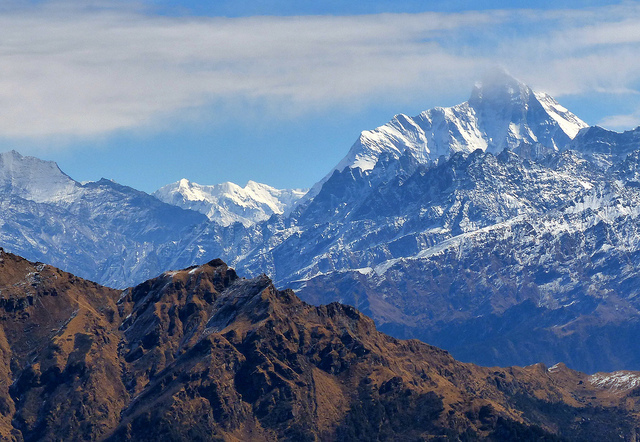 Nanda Devi National Park is well secluded due to its remoteness from the people. The reason can be its late discovery or the very tough trek which take you to both the parks. 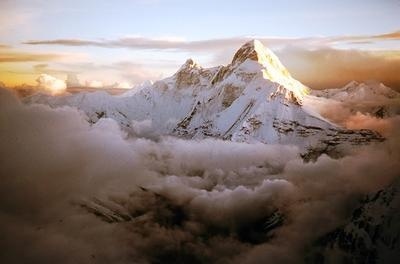 The place is so enchanted and magical that this God’s splendour which is resting on the sly in the colossal Himalayas is being made a Heritage Site in India. After the world came to know across this fact, all botanists, nature lovers and other people who were interested in this amazing miracle run to the valley to experience its beauty. It is positioned in the Chamoli district, midway between the attractive ZanskarValley and The Great Himalayas, in the state Uttrakhand of India. You can reach the valley/park only through a long trek which is about 17 kms long and starts from Gobindghat. Gobindghat is a village which is situated near Joshimath. Just before 3 kms from the valley, there is a place named Ghangharia, where the trekkers can rest after their long trek. To visit the valley, you will require a Forest Check Post’s permit at Ghangharia, only then you will be able to go to the valley. This permission is chargeable at a very nominal fee and is only valid for 3 days. You can visit it only in the summers, i.e., from June to October as it is covered fully with snow in the winters but in summers the valley is full with blossoming flowers, rendering the gorge a splendid charisma. About 1,000 species of plants are found in the park, including the 550 species of trees and 450 species of pinnacle or blooming plants. Apart from the medicinal plants like Polygonatum Multiflorum and Picrorhiza Kurrooa etc, there are beautiful flowers like blue poppy, calendulas, orchids, daisies and cobra lily. Pink lotus is also very common in the valley. 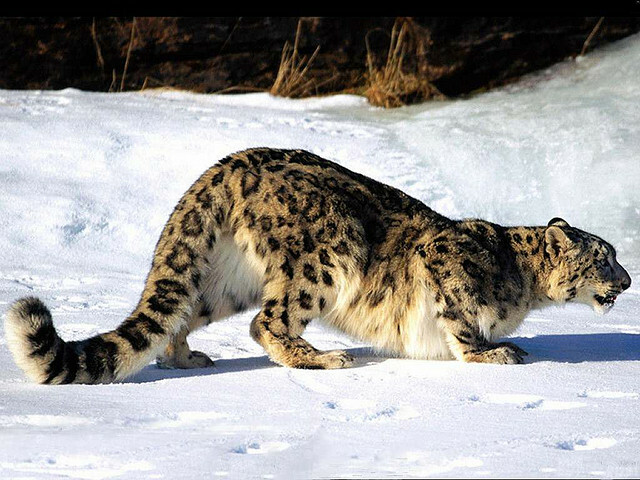 Endangered animals which can be seen in the park are Snow Leopard, Blue Sheep, Musk Deer, Brown Bear, Black Bear, Hare, Langur and Serow etc. 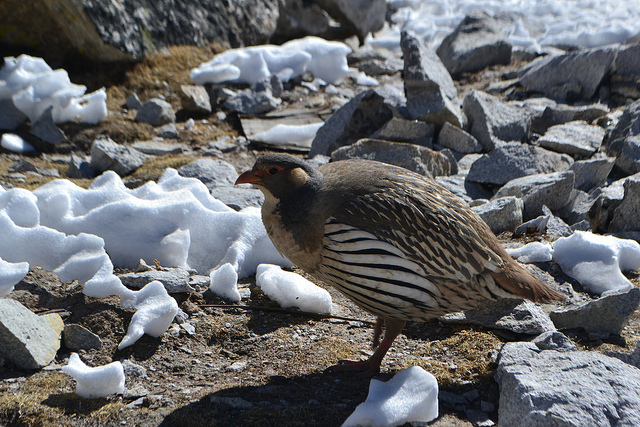 Birds like Himalayan Snowcock, Golden Eagle, Vulture, Snow Pigeon and Sparrow Hawk can also be found. Above all that, thousands of multicoloured striking butterflies will surely take your gasp away. Overnight stay is not allowed in the valley. Quite a few hotels are provided by state government in Ghangharia and Joshimath where you can stay. You will not find any accommodation in the valley itself. You can travel by flight or by train as the airport is 295 kms away and railway station is 276 kms away. This National Park and its Valley are a heritage amongst other Indian Heritages as there is a lot to explore here for the visitors.